Coyotes are becoming more common throughout the U.S., and they're showing up during daylight hours. Here's what you can do. I was unloading groceries recently from a market trip when something caught my attention. Not sure what I was looking for, I slowly scanned our yard for whatever had triggered my unease. Soon I had zeroed in on the source, standing in the space between the duck run and the Orpington coop: a coyote. OK. Perhaps other poultry owners would have charged out, shotgun in hand (or at least something long and blunt), screaming bloody murder. Our farm is located directly between two of Michigan’s largest natural areas, however, and I have long been aware of the pack of coyotes that lives a couple of miles away. I also had been trained in management skills for coyotes and other wild species when I worked in Wyoming, where I regularly encountered coyotes on my patrols. I’d never, however, encountered one in the middle of my poultry runs, and not before 5 p.m. Startled by my voice, the coyote dashed off into the woods behind our property. I raced outside to do a head count at each coop. Fortunately, it was so frosty that the birds had already retired for the day. All, that is, except our ducks, who stood staring out after the coyote, quacking their displeasure loudly. Decades ago, coyotes were rarely seen outside wilderness areas. Now, as their natural habitat shrinks because of human encroachment, sightings in suburbia—and even in such urban locales as Los Angeles, San Francisco and New York City—are increasingly common. Coyotes are now found in almost every part of North America, causing particular concern for chicken owners as these opportunistic canids lose their fear of people and make themselves at home near human residences. What can you do to protect your flocks from this adaptable predator? Here are several suggestions to minimize your birds’—and your—encounters with coyotes. Coyotes once survived by hunting small animals, scavenging carrion, and eating wild fruits and berries. Those living among humans do so because food is plentiful. Eliminate their food sources by storing your garbage bins inside your garage or barn. Outfit your bins with tightly fitting lids that cannot be easily knocked off. 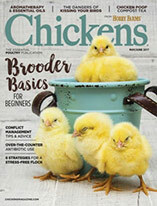 Similarly, store your chicken feed in sturdy containers, and swiftly sweep up any spills. Not only will better property management keep coyotes from rummaging through your trash, it will also reduce your local population of mice, rats and other rodents upon which coyotes prey. 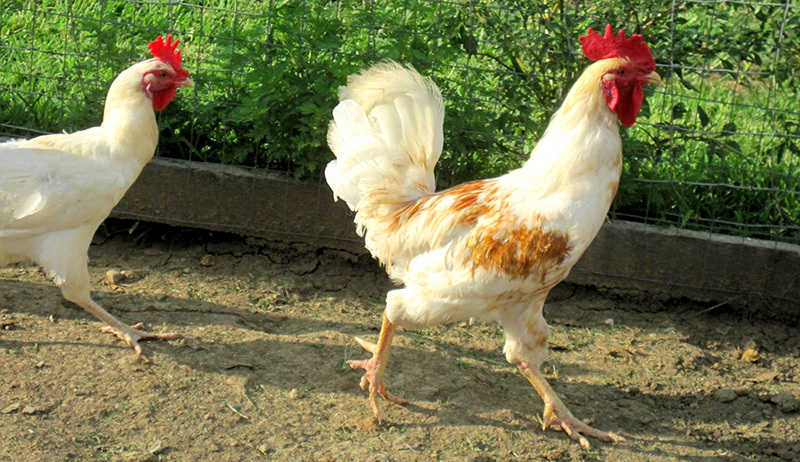 Keep your chickens safely corralled in a designated run surrounded by a strong, sturdy fence. When installing your enclosure, considert not only how high your chickens can fly but also how high predators such as coyotes can jump. A fence height of at least 5.5 feet should deter coyotes from leaping over to get at your birds but, to truly prevent predator access, consider creating a contained run complete with a roof. Because coyotes are nimble diggers, set the bottom of your fence at least six inches below the ground so they can’t easily get under. For added security, install a barrier of hardware mesh or concrete slabs beneath your fence, extending away perpendicularly from your fence for at least 1.5 feet in both directions. While some coyotes, including my visitor, are out and about during daylight hours, these canids are nocturnal by nature. 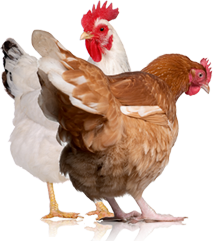 Motion-sensor strobe lights will detect movement around your coop or run and illuminate the darkness, startling any approaching animals. You can also install Nite Guards, solar-powered lights that—to a predator—resemble the eyes of another predator. We hang our Nite Guards at different heights along our enclosures to ensure there is at least one at eye level for any unwelcome nocturnal visitor. 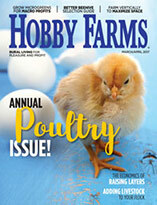 Even with all these precautions in place, your poultry flocks might still draw unwanted attention. If your chickens are attracting coyotes—or are being decimated by them—contact your city or county government to learn what local ordinances apply to coyotes. You might be referred to your state’s fish and wildlife division to confirm whether coyotes have special status in your state. If coyotes are not protected in your area, verify what measures and solutions you can apply. Strategies vary from state to state, so what might be an appropriate action in California, for example, might be prohibited in Wisconsin. Your county extension office can recommend professional animal-control specialists who can help reduce or eliminate your coyote issue. However you approach the situation, use utmost caution. Coyotes can be infected with rabies, and those habituated to human habitats might very well consider you the intruder on their territory. Keep your distance should you find one amongst your coops and, with the help of professionals, take measures to protect your flocks from this widespread predator.